After beating erstwhile leader Wesley So of United States in the previous round, Anand's streak was halted yet again as the Indian ace faced a risk-free approach from Mamedov out of a Caro Kann defence. 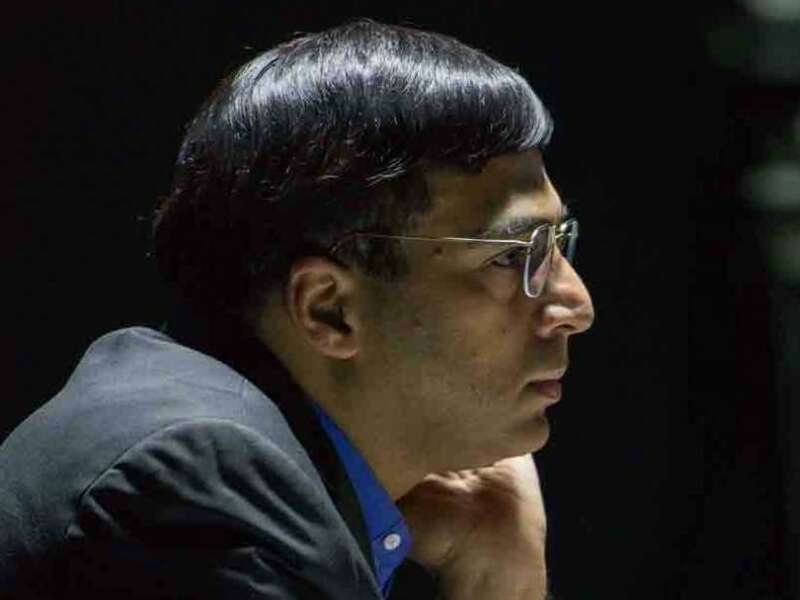 Former World Champion Viswanathan Anand settled for an easy draw playing with black pieces against Rauf Mamedov of Azerbaijan in the 6th round of Shamkir Chess 2015, held in the memory of Vugar Gashimov. The draws were the order of the day as only Fabiano Caruana of Italy could score a victory over off-form Vladimir Kramnik of Russia. World champion Magnus Carlsen was held to a draw by Anish Giri of Holland in the key encounter of the day while Wesley So signed peace with Shakhriyayr Mamedyarov of Azerbaijan. In the only other game of this 10-player round-robin tournament, Michael Adams of England also shared the point with Maxime Vachier-Lagrave of France. The lead positions remained unchanged thus, and Carlsen remained at the top of the tables with 4.5 points out of a possible six. Wesely So remained on the heels of the leader a half point behind and Anand's third place remained intact as the Indian inched himself up to 3.5 points after his fifth draw in sixth game. Mamedyarov shares the fifth spot with Caruana now as the latter came back to an even score with his first victory in the tournament. Kramnik, Mamedov, Vachier-Lagrave and Giri are all on 2.5 points needing some wins in the last three remaining rounds of this 100000 Euros prize money tournament. Adams is in last spot two points in his kitty. For Anand a victory might have helped but the approach by Mamedov was quite solid. The Azerbaijani, who is gaining respect with every passing round facing much higher opposition played it too safe against Anand in the Caro Kann. The legendary Indian GM retained a solid position and it was still middle game on board when both players decided to repeat. The game was over in just 29 moves. Caruana won with black against Kramnik who went in to unwarranted complications in the middle game. The Italian was bang on target once he got the opportunity and won after sacrificing an exchange. Giri has never lost to Carlsen in a Classic game and he kept that record intact with his white pieces. Results round 6: Rauf Mamedov (Aze, 2.5) drew with V Anand (Ind, 3.5); Anish Giri (Ned, 2.5) drew with Magnus Carlsen (Nor, 4.5); Wesley So (USA, 4) drew with Shakhriyar Mamedyarov (Aze, 3); Vladimir Kramnik (Rus, 2.5) lost to Fabiano Caruana (Ita, 3); Michael Adams (Eng, 2) drew with Maxime Vachier-Lagrave (Fra, 2.5).